Fostering is a special job that needs people with extraordinary hearts. People just like you. View the stories of real foster carer families and find out how you can become one. Learn more about our Aboriginal and Torres Strait Islander storytelling artwork featured on many of our resources and publications. Mr Atkinson was appointed as a special advisor to the Minister on 12 February 2018 and was requested to examine and advise on youth justice matters. Read his advice in the full report. If you are a foster or kinship carer, browse through our new online information to find all you need to know to help you care for, and provide a safe and healthy environment for, a child or young person who is placed with you. 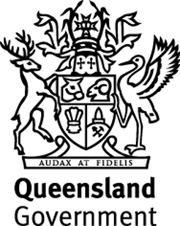 The Queensland Government has announced that from late 2018 it will join the National Redress Scheme for people who have experienced institutional child sexual abuse. From Mornington Island to Mount Molar and everywhere in between, read how Youth Justice works across Queensland offering programs and services to young people and their families. Professionals and the community can help keep children more than safe by doing the QFCC's online module, Protecting Children, and incorporating it into staff training. Legislation changes allow Child Safety to provide information to people who are, or have been in out-of-home care, parents and guardians, the police and interstate child welfare authorities. Better futures are happening. Read about how our latest changes are designed to support young people in the youth justice system while contributing to community safety.